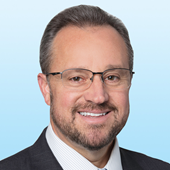 Brent Jacob, a vice president in Colliers International’s Suburban Office Advisory group, brings to the firm more than ten of brokerage experience. With a geographic focus on the east-west and northwest suburbs of Chicago, Brent continues to grow the suburban office leasing and tenant representation platform. 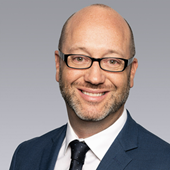 Prior to joining Colliers, Brent was a portfolio leasing manager for John Hancock Real Estate, a subsidiary of Manulife Financial. He was responsible for the leasing and asset management of the Midwest Region portfolio, which included 24 properties totaling more than 7.2 million square feet of Class A industrial, office, and multi-family/retail. 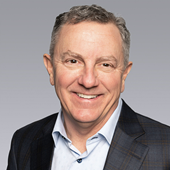 During his career, Brent has successfully negotiated, and secured leases totaling more than 2.5 million square feet and valued at more than $350 million. Brent previously worked with Colliers Chicago’s Office Advisory Group from 2011-2015. He also gained experience in the tenant representation services group at Grubb & Ellis and Investment Services Group at NAI Hiffman. Brent earned a bachelor of science in real estate from DePaul University and is currently working on a master’s in real estate from Georgetown University. He is a licensed real estate broker, CCIM Institute candidate member, and a member of both COLBA and NAIOP. Partnering with Principals Steve Kling, Francis Prock, Jason Simon and Darryl Silverman, I specialize in the leasing and sales of suburban Chicago office properties. As part of the property marketing team, I canvass commercial properties in areas that feed the markets in which my clients' buildings are located. Through this effort I am involved in the maintenance of an extensive database of market intelligence, from both the tenant and building ownership perspective. In the past 10 years, I have been involved in more than 500 transactions. These transactions cover a variety of experience in the representation of property owners. In the past 30 months, I’ve been involved in 26 office transactions greater than 50,000 square feet. Prior to joining Colliers International, I spent three years at Grubb & Ellis Company. Numerous leading office building owners and developers in Suburban Chicago rely on my extensive market knowledge and expertise to develop and execute their strategic marketing plans. I have specialized in office leasing since 1998 and, along with my partner Steve Kling, have completed approximately 3,500 real estate transactions for a total value of $8 billion. My experience includes representing entrepreneurial owners and developer clients such as Hines, CBRE Global Investors, Equus Partners and Highland Management to the publicly traded Equity Commonwealth REIT and the institutional ownership of Colony Realty Trust, AEW, Massachusetts Mutual Life Insurance Company, Principal Financial, Prudential, RREEF, GE Capital and Allstate. My ultimate goal for my clients is to maximize the value for the asset and service the client. I became a principal of Colliers International | Chicago in 2007 and share oversight of the Suburban Office Advisory Group. Prior to joining Colliers in 2003, I spent 10 years at Grubb & Ellis Company and six years working with owner-developer William A. Rogers, Inc., gaining experience and market knowledge representing both landlords and tenants. I represent numerous leading office building owners and developers in Suburban Chicago. Along with Francis Prock, who I have partnered with since 1993, I oversee Colliers International | Chicago’s Suburban Office Advisory Group. This team has completed approximately 3,500 real estate transactions, valued at $8 billion. Colliers Chicago’s Suburban Office Advisory Group offers total market coverage. The team is a powerhouse in the suburban office market and leads the field in square feet leased, total transactions, and has completed more than 50% of transactions over 50,000 square feet in the past five years. Clients rely on my 30 years of experience in the industry, giving my clients unsurpassed market knowledge and experience. I work closely with my clients to establish strategic plans consistent and complimentary with their goals, objectives and strategies, and I pride himself on open and frequent communication. I joined Colliers Chicago in 2003 after spending 15 years with Grubb & Ellis Company and am a member of the firm’s Executive Board. With 22 years’ experience in real estate, specifically agency leasing, I am the direct liaison between Colliers International’s suburban Chicago Office Advisory Group and our clients—entrepreneurial owners and developers, REIT’s, institutional owners and private owners. I play an active role in the development and distribution of property marketing materials including brochures, direct mail pieces and electronic communications. Additionally, I am responsible for organizing and planning meetings and special broker functions ranging from small golf outings to large broker open houses. My problem solving, multi-tasking skills and ability to manage rapidly changing priorities and see projects through has made me an integral part of the team. I also manage the team's day-to-day and ongoing marketing and communication process, including the development and distribution of regular marketing reports (weekly, quarterly and monthly), general property and suburban research information and reports, proposals and routine correspondence. Throughout this process I am directly involved with all levels of client personnel, from property managers to company principals, whether locally or nationally. I joined Colliers from Grubb & Ellis Company, where I supported the property marketing team led by Steve Kling and Francis Prock and supported by three broker associates.